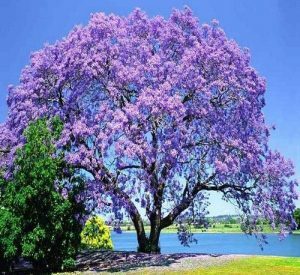 The Jacaranda mimosifolia is a genus of 49 species of flowering plants in the family Bignoniaceae, which is native to tropical and subtropical regions of the Americas. 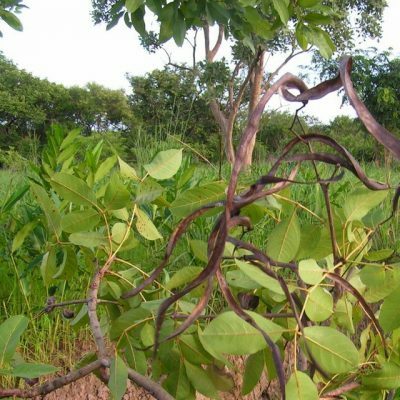 Jacaranda mimosifolia (Common name – Blue jacaranda) is the species known in Zimbabwe but they certainly don’t look like they have blue flowers – purple, lilac or mauve is more like it! 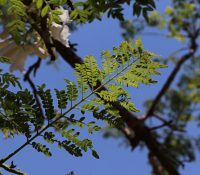 But, there is also a variant of the Jacaranda mimosifolia or perhaps it’s the Jacaranda mimosifolia ‘Alba’ which has white flowers. 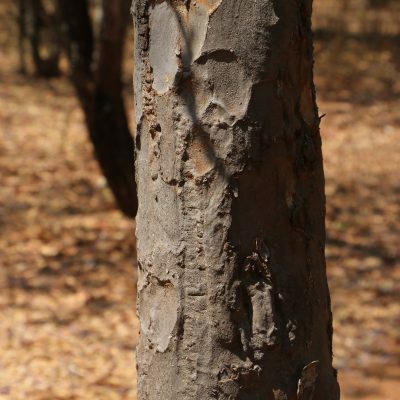 The white jacaranda tree in all respects is exactly the same as the purple variety in terms of foliage, bark and pods. 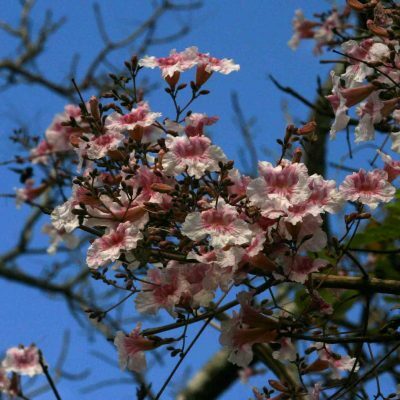 The difference, apart from the white flowers, is that it appears to be smaller than any nearby jacaranda. Two street trees, with one purple in-between them along Samora Machel opposite the Tel-One College. They are in front of properties 148 & 152 Samora Machel Ave.
One street tree on Piers Road opposite Bon Marche in Sam Levys Village. One tree in 195 Enterprise Road opposite the Chisipite shopping centre. One street tree at 155 Baines Ave. between Sixth and Seventh Streets. One tree close to the road in the property of 41 Ridgeway North. One tree in Harare Gardens behind Livingstone House. 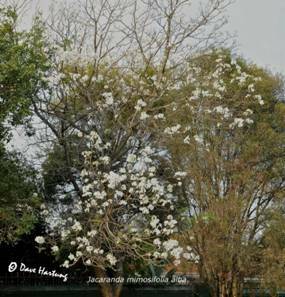 No doubt there are many more white jacarandas in Harare and elsewhere within Zimbabwe. 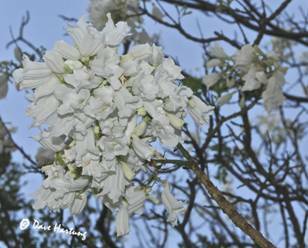 If you know of the location of any white jacarandas which are visible from the road, apart from those listed above, kindly let us know. 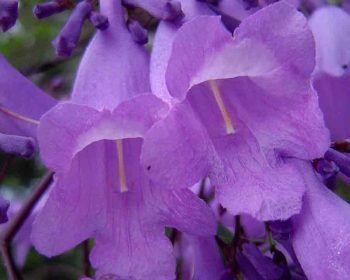 Zimbabwe has an indigenous pink jacaranda, Stereospermum kunthianum, which also belongs to the family Bignoniaceae. Within Zimbabwe, their natural habitat is the Zambezi valley extending south to Harare and surrounds. 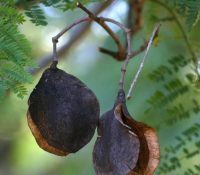 Although the shape of their flowers sort of resemble the exotic species, their leaves, bark and pods are quite different. 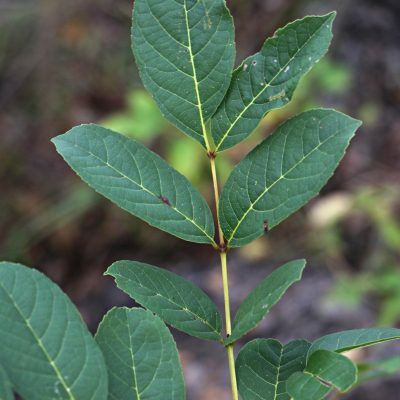 Exotic Jacarandas have large twice-pinnate leaves whilst the indigenous variety have medium sized once-pinnate leaves. 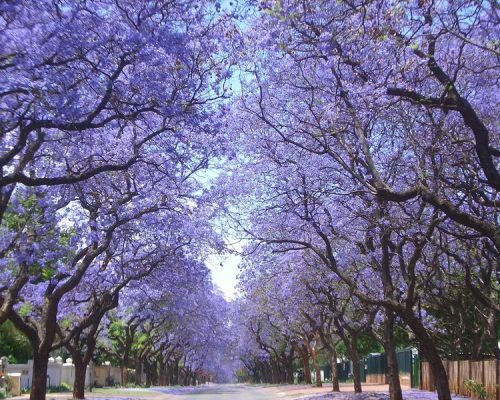 Pink jacarandas are becoming popular as an ornamental garden tree and many have been planted in Harare.